The audit process is a definite set of steps used in a financial, operational or compliance audit. This set of steps depends of the audit services company. 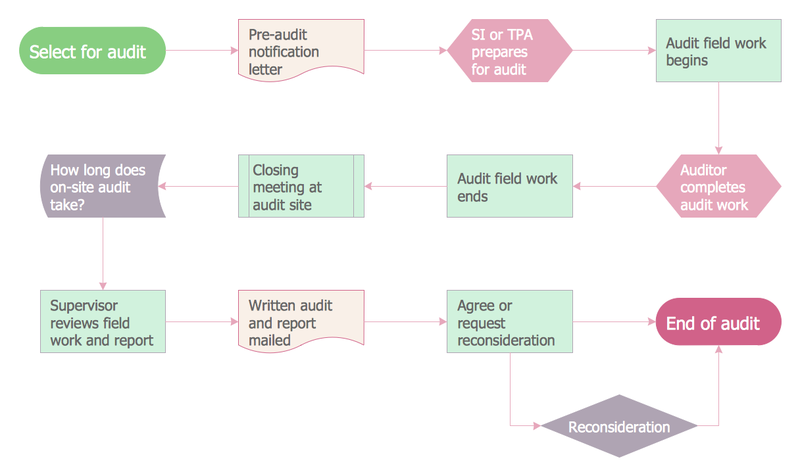 The auditing process usually includes three main steps: planning, fieldwork and reporting. 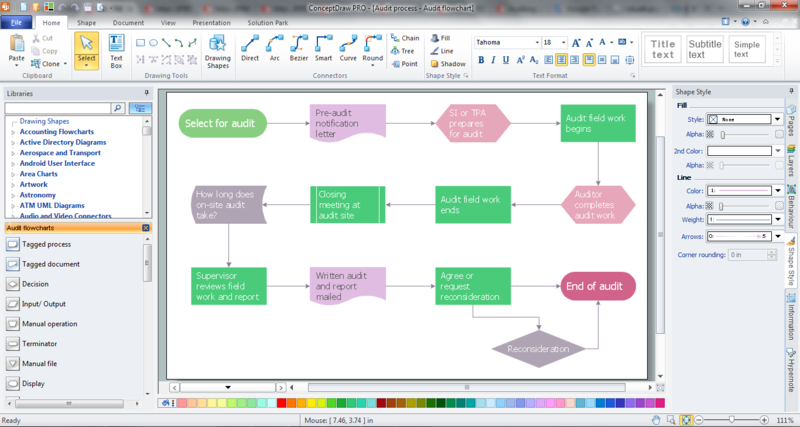 The Audit Flowcharts solution from the Finance and Accounting area for ConceptDraw Solution Park extends ConceptDraw DIAGRAM ector graphics and diagramming software with the ability of easy drawing the Audit Process Flowcharts. Look at the example below, it represents the variety of audit flowchart symbols developed specially for Audit Flowchart library included in Audit Flowcharts Solution. 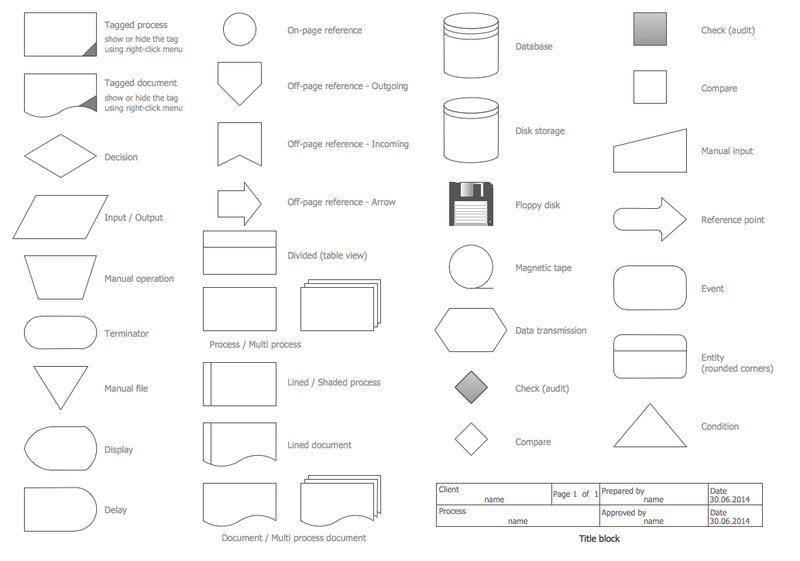 All these symbols are vector and ready for designing the audit process. You can also benefit from the set of samples, examples and template included in Audit Flowcharts Solution and available from ConceptDraw STORE. Each of them can become the good base for your own Audit Process Flowchart. You don't need to be an artist to draw professional looking flowcharts in a few minutes. Great number of predesigned templates and samples give you the good start for your own flowcharts.